...crush your blogging goals in 2019! did you know you are 3x more likely to reach your goals if you write them down? START CRUSHING YOUR BLOG GOALS IN 2019! The paid version of the planner does not have a copyright stamp on each page. The 2019 Blog Planner comes in both color and black and white for easy printing! GET READY TO TAKE YOUR BLOG TO THE NEXT LEVEL! 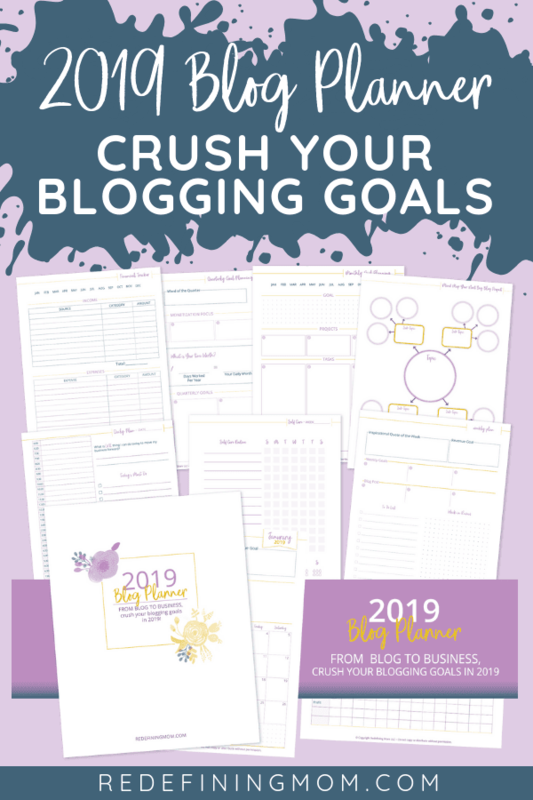 2019 Blog Planner - Crush Your Blogging Goals! Over 45 pages to help you crush all of your goals and grow your revenue in 2019. Not sure yet? At least don't leave empty handed! Download my free 2019 blogging goals planner including monthly and quartlerly planning sheets. Yes! I want free goal planning sheets!